This new version features a 5” TFT monitor with 3X-magnifying lens and a 800 x 480 super pixel display. In addition, the screen does not turn blue when signal is getting weak or lost and this is must have feature for FPV. Other changes are a better fit to your face contour, pockets for Head Tracker, switcher, FPV receiver and small Lipo pack. 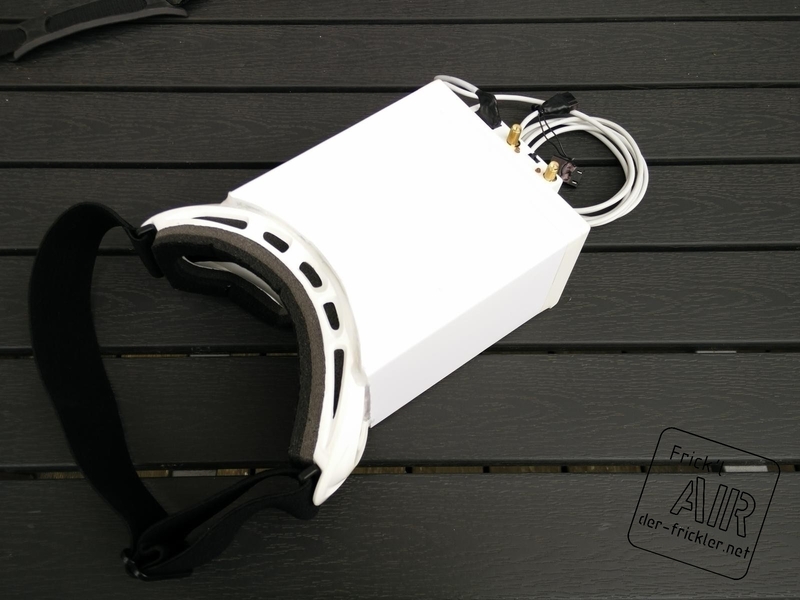 A lipo pack strapped to your head. I don't think anyone should buy such a system. Too dangerous. At $54 I am more than a little incredulous that HK is touting the native resolution of this display as a true 800x480 —the the vast majority of 5-inch TFT displays are limited to a mere 480x272. Don't fat sharks also strap a lipo to your head? We use that ones in our DIY googles. I've had fatsharks then this type of viewer and then went back to fatsharks. I thought it'd be a good inexpensive alternative to expensive video goggles but I found them to be very bulky and uncomfortable. You have a screen cantilevered about 6 inches from your face which creates a moment. Fatsharks are nice and compact...especially with the RX module installed. Can't beat them and can wear them for many flights without them being uncomfortable. Yep, The fatshark Dom HDs have the lipo against one temple and the antennas on the other side. Not really what I call healthy (battery against head, antenna not 25cm away according to FCC)... It's a hard case, not that comfortable. It + the antenna weighs the whole thing down that you have to over tighten the strap. I'm one of those people that loses focus if the goggles shift or get bumped--I hate it. Cinemizer+ski goggle mod is the best set up I've used, clarity is better than a Oculus (best is w/a black magic capture card, and some custom s/w ;) ), but the FOV is terrible. Dude, that antenna close to your head is an RX not a TX. It has no effect on the amount of radiation that is entering your head. If you think about it, radio waves are always passing through your body, whether or not you have an electronic device catching those radio waves or not, makes no difference to your health. 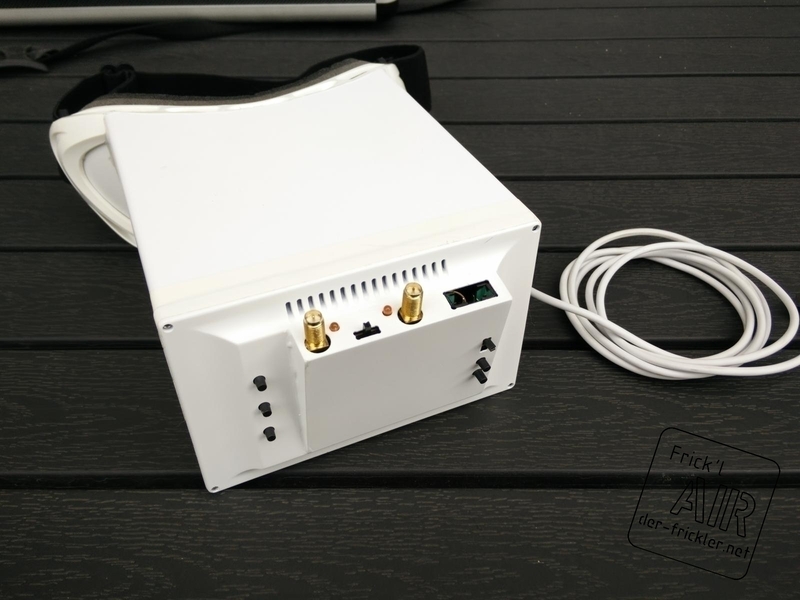 The FCC guidelines generally refer to cell/wifi antennae used asynchronously, not when used for R/X only.